One of the best features of pay-by-click web advertising is that results are measurable from the time campaigns go live. But, unmanaged web advertising quickly reaches a point where money is being wasted on driving inappropriate traffic to a website to nobody's benefit. In addition user experience is made poorer. Pay-by-Click - How is it managed? 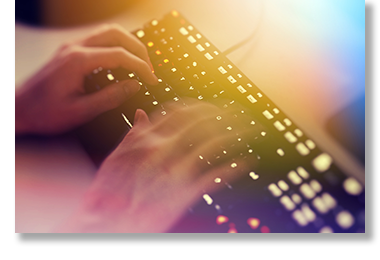 Several interacting factors have to be taken into consideration when managing pay-by-click advertising campaigns. Initially we meet with clients to decide what results they would like to achieve using for example Google AdWords as the provider. First we agree with clients a reasonable budget to deliver the desired results. Campaigns are then put in place with carefully worded and structured advertisements. Each campaign will concentrate on set(s) of keywords and phrases with the aim of capturing click-through by potential customers. Not all customers are selling direct to the public online. Many are selling goods and services to other businesses or bidding for work or contracts. Whatever the aims we closely monitor the performance of campaigns paying special attention to "wasted" clicks - those resulting from visitors mistakenly visiting a website that doesn't have what they are looking for. The campaigns are then adapted to weed out so-called negative keywords and enhance results from positive keywords. Our aim is to deliver more useful clicks for less cost per click. 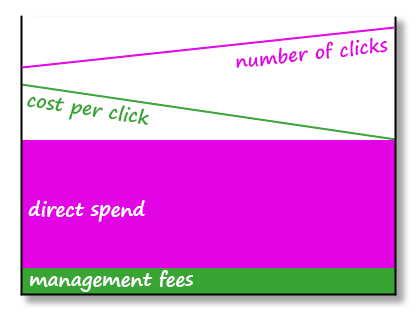 How much should be spent on pay-by-click advertising? This very much depends on the competitors operating in the same sphere of business. Some markets are so specialised that there may be only a handful of competitors and the cost per click correspondingly low. On the other hand. Where competition is fierce more must be paid to be effective. Usually these markets have many more potential customers. Large spend is therefore a good investment. Contact us now to discuss your next online advertising campaign.